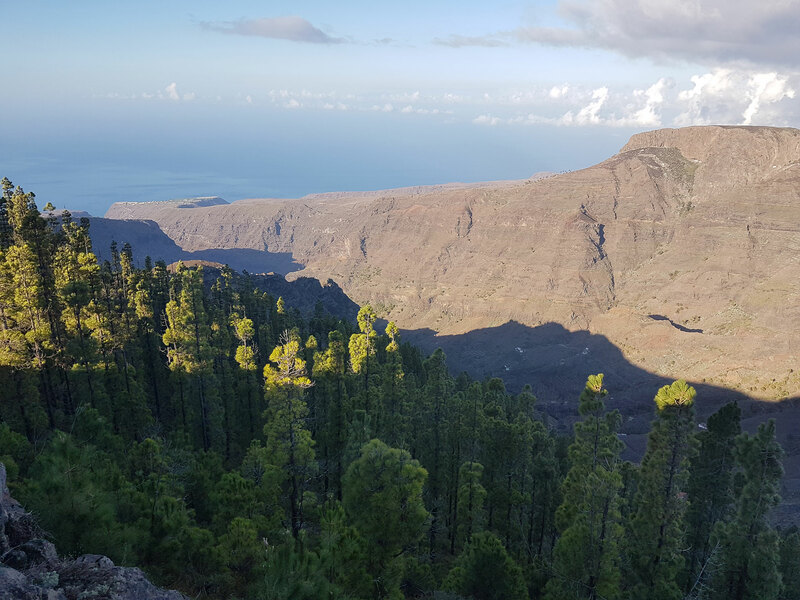 Last week, some members of the team were lucky enough to travel to La Gomera for a few days. This is what Operations Manager, Simon Chambers, had to say about his time on the island. Although I travelled to La Gomera two years ago, my recent trip to the island took me to the Garajonay National Park and Hotel Jardín Tecina. Upon arrival in Tenerife, we had a few hours until our ferry crossing. After a short walk from the port area (less than 5 minutes), we came across a lovely little beach bar which was reasonably priced and had a nice lunch menu selection. We made this our home for the next few hours until it was time to join the ferry. 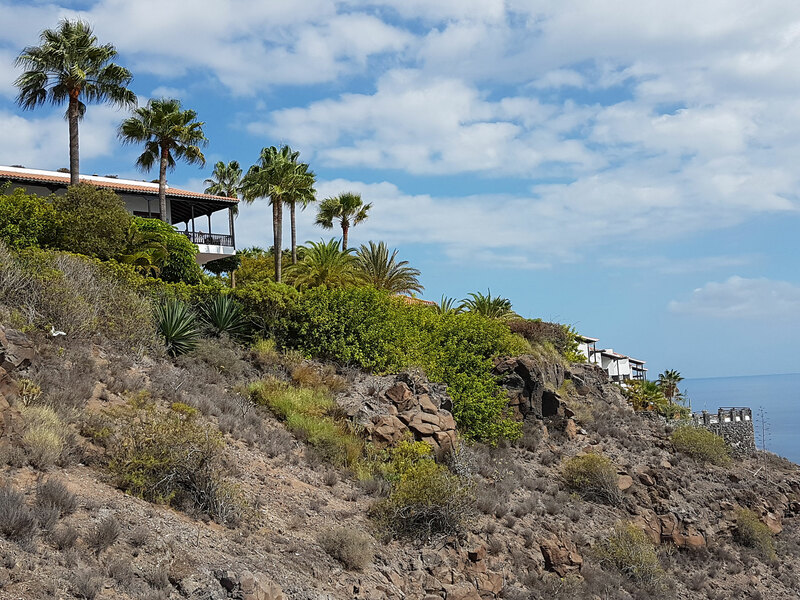 After approximately 50 minutes, we arrived in La Gomera, followed by a short transfer to Playa de Santiago and the Hotel Jardín Tecina. This was our base for the next three nights and it began with an evening meal and an early night after leaving the UK on an early flight that morning. The following morning, we met for breakfast before joining an excursion which showcased the island’s highlights - from learning about the whistling language to a walk through Garajonay National Park, which I must say, if you are walking/hiking here, it’s best to layer up. We left the hotel at 9am with clear blue skies and returned to the same. However, in-between, at the peak of the island, the clouds were low and mist was in the air, which I guess is good for walking, but not so good for those dressed for the sun. The afternoon consisted of a tour of the hotel, allowing for a full understanding of the room types on offer, including the new adults-only area (starting 1st November 2017 in the Duplex area) and the variety of activities and pools available. In the evening we were fortunate enough to dine in Club Laurel. Although still a part of the hotel, the restaurant and pool area are located at sea level and accessible via a lift built into the cliff from the hotel. The next morning, we started our day with the Eco Finca Tecina tour (available every Tuesday for free). A member of the Eco Finca team took us to the gardens and discussed the various combinations used to create an organic garden project based on patterns and characteristics of the natural ecosystem. 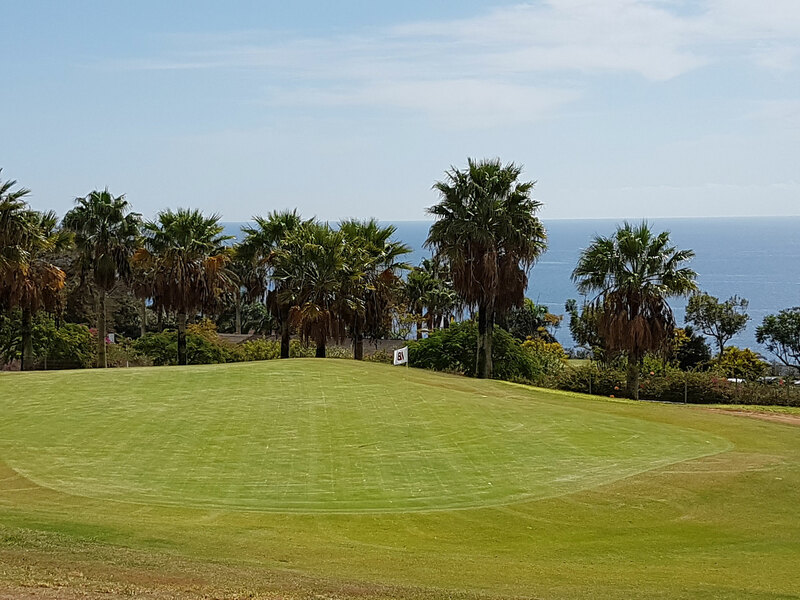 Then onto Tecina Golf, an 18-hole golf course designed so that every hole overlooks the sea. This course was magnificent, well-kept and a delight to play, I’m sure. Although we did not have the opportunity to play, we did have a brief visit to the driving range where the club professional gave us a few tips. One, in particular, was to make sure we come back and play a full round. That evening, we dined in Tasca Fandango which features a tasting menu from the deepest Spanish and Canarian culinary roots. A must try for everyone. Whilst days can be full of activities from golf to hiking, the hotel has an aura of relaxation and tranquillity that will relax the soul, even if it is just for a short stay. After visiting, I can truly understand why so many guests return year after year. 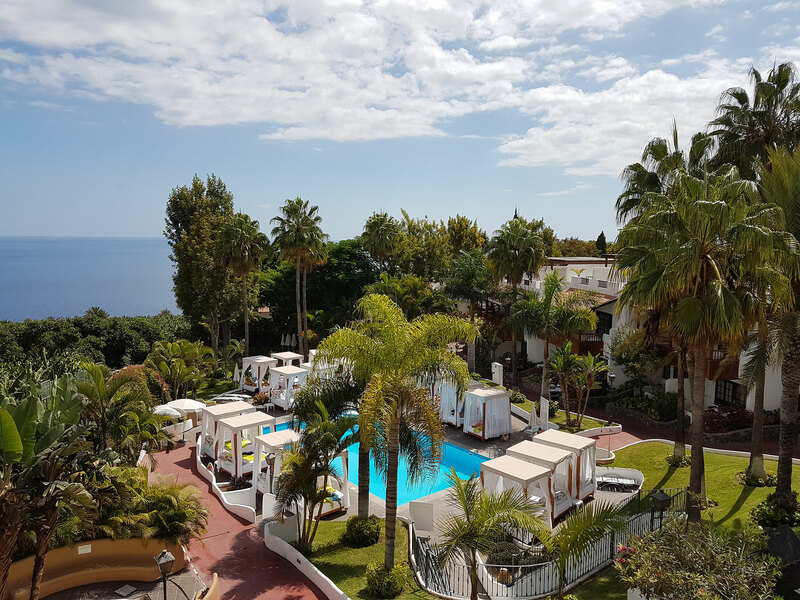 If you would like to take some time out at the Hotel Jardín Tecina and explore the beauty of La Gomera, we have some great early booking offers available. Call us on 0800 035 0704 to book your stay.